Not in stock and no expected arrival date has been set. [ Save ] to a project to receive an email when the item is in stock. As a part of your suspension that takes a lot of abuse, a good set of shock absorbers will dictate the handling and ride of your car. 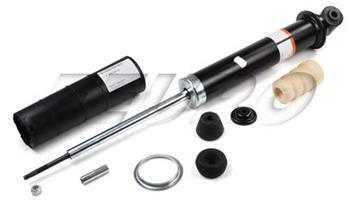 In conjunction with coil springs, the shock absorber exists to dampen the bouncing motion of the coil spring. When a shock absorber fails, it will show signs of leakage in most cases, signalling that the gas/hydraulic interior seals have broken. To tell if your car needs shocks, walk to each corner and give it a strong push downward. The movement should not bounce up and down. If it bounces more than twice, the shock absorber is no longer dampening the movement of the spring. Typically, shocks last around 100k miles, but in some cases they can last far longer. After WW2 Swedish Aerospace manufacturer Svenska Aeroplan AB needed a profitable outlet for its engineering and production capabilities. The result was SAAB Automobile, some 60 years later the endeavor has yielded some of the most unique and recognizable automotive designs to ever come out of Europe. Turbocharging and novel Safety innovations like a Console mounted ignition key, diagonal, dual circuit brakes and headlight washers became SAAB trademarks. In 1985 SAAB innovated the direct ignition system dispensing with the anachronistic ignition distributor eventually culminating in the laudable Trionic 5, 7 and 8 engine management systems. eEuroparts.com is the Internet's number one (#1) retailer of Genuine SAAB parts. We stock over 10,000 parts for your SAAB in our warehouse in Windsor, CT. Any "in stock" part is available for same day expedited shipping and any special order parts typically ship within four (4) business days. 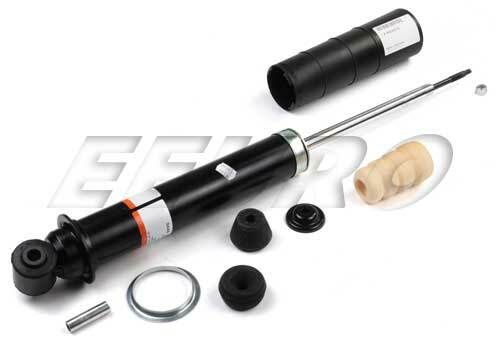 If this is not the exact Shock Absorber - Rear (Nivomat) you are looking for, or you would like this part in a brand other than Genuine SAAB, please contact us and one of our customer service experts will help you locate the exact part you need. 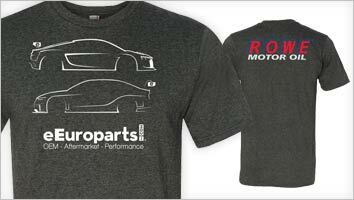 eEuroparts.com® proudly offers wholesale prices and fast shipping available on most orders. We also provide inexpensive and guaranteed 3 day, 2 day, and Overnight shipping options, so if you need your Shock Absorber - Rear (Nivomat) tomorrow, eEuroparts.com® can deliver! Every eEuroparts.com® order is track-able, meaning you'll know exactly where your Shock Absorber - Rear (Nivomat) is at every step of the shipping process. eEuroparts.com® also displays your Expected Ship Date and transit time in your Cart, making our entire shipping process simple and transparent.